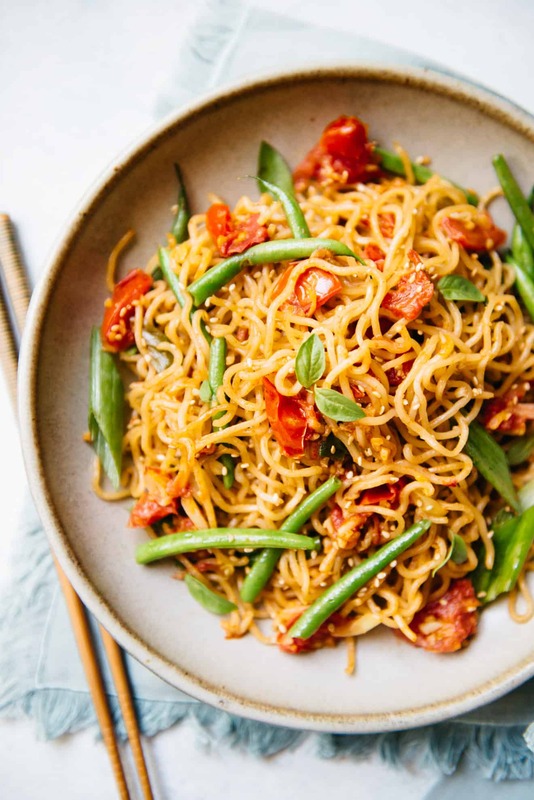 This simple vegetable chow mein is stir fried with ripe tomatoes and crisp green beans. The noodles are also seasoned with cumin to give the noodles richer flavor. Ready in less than 30 minutes! For the longest time, I believed that tomatoes didn’t belong in Chinese cuisine, and that was because I never ate a good tomato dish at home. When I was young, Mama Lin often prepared a stir-fried tomato and egg dish (西紅柿炒雞蛋), which I hated. It was a plate full of large chunks of mushy tomatoes, scrambled eggs, and far too much sugar. Don’t get me wrong, Mama Lin is a phenomenal cook, but cooking tomatoes is her achilles heel. It wasn’t until I lived in China, where I first tasted Uyghur food, that I experienced how tomatoes can work in Chinese cuisine. The Islamic Uyghur population live mostly in Xinjiang, a large autonomous region situated in the northwest of China. Although its terrain is dry and mountainous, Xinjiang produces a lot of tomatoes, which is why it is a common ingredient in Uyghur cuisine. I can’t even remember what dish I ate, but I distinctly remember tomatoes paired with cumin and thinking it’s one of the best things I ever tasted. 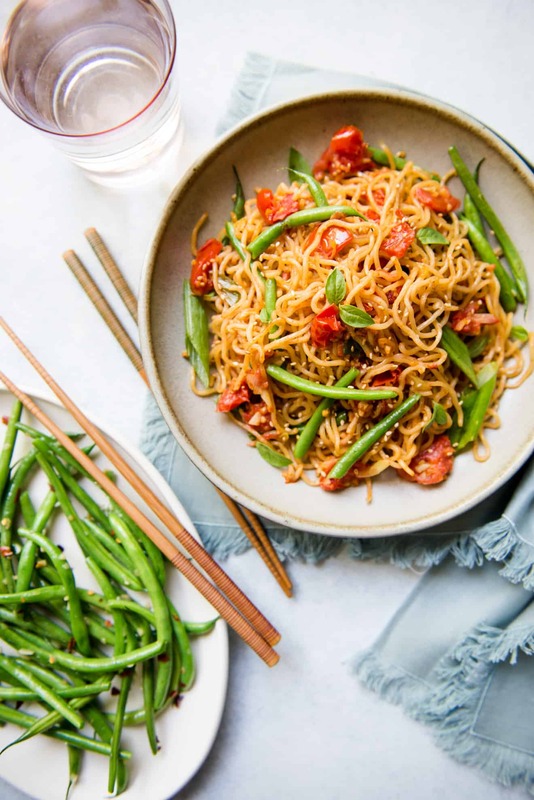 Drawing from the influences of Uyghur cuisine, I made this stir fried chow mein with tomatoes, green beans, and cumin. Tomatoes and green beans are in season right now, which makes the dish even more delightful. The chow mein is great for weeknights, as it takes less than 30 minutes to prepare. You can serve this dish with pan-fried tofu, grilled shrimp, chicken, whatever suits your fancy. Yes! 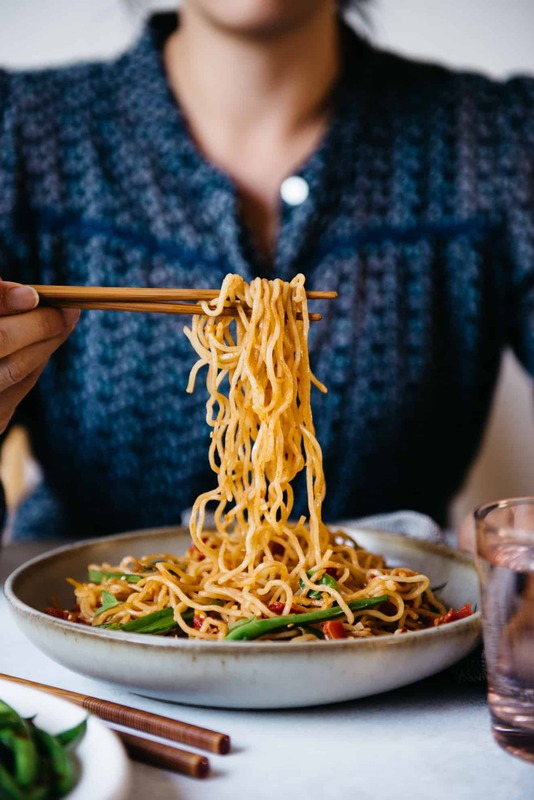 Substitute the chow mein noodles with roughly 10 ounces of dried rice noodles, mung bean noodles, or Korean glass noodles (made from sweet potato starch). When it comes to stir fries, I prefer using mung bean or Korean glass noodles because they don’t break down quite as easily as rice noodles. 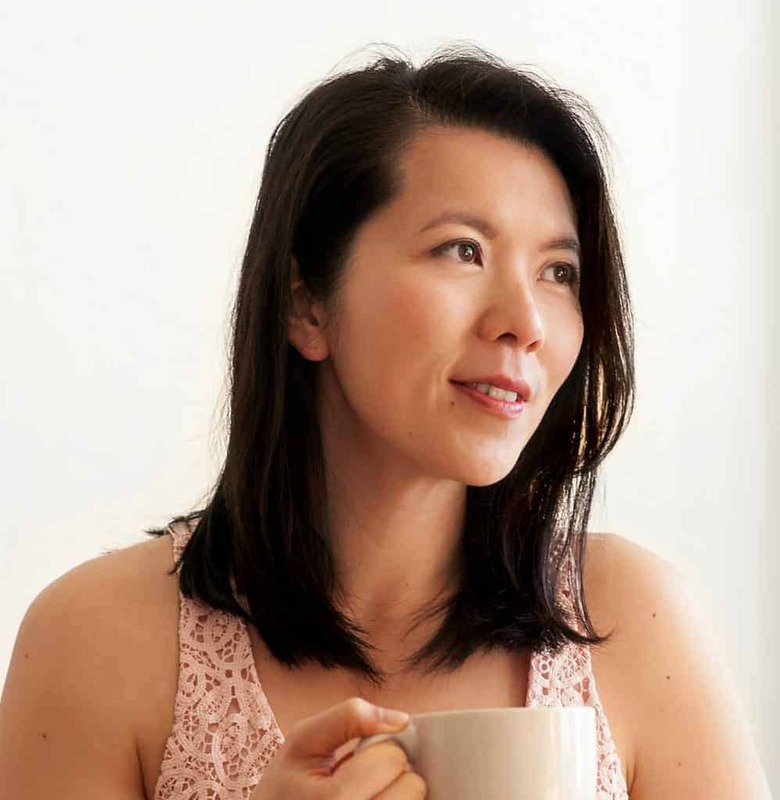 You will also want to swap the soy sauce with gluten-free tamari. CAN YOU COOK THIS WITH OTHER NOODLES? Yes! Besides the noodles I mentioned above, you can also prepare the dish with about 10 ounces of dried egg noodles. Shirataki noodles work, too. I’d probably use 3 packages of the noodles for the recipe. 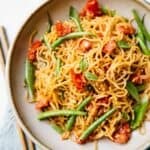 In this recipe, I use ready-to-eat chow mein noodles that are usually sold in the refrigerated aisles. You can also use 10 ounces of dry noodles and cook them according to the package instructions. Often times, packaged cooked noodles are vacuum sealed, so the noodles are compressed into solid bricks. To break the noodles apart, remove the noodles from packaging and microwave them for about 1 minute 30 seconds on high. When the noodles are cool enough to handle, use your fingers to break the noodles apart. Heat 1/2 tablespoon of olive oil in a large sauté pan over medium-high heat. Add the green beans and cook them for about 1 minute. Add a few tablespoons of water to the pan to keep green beans from burning. Continue cooking the beans for about 4 to 5 more minutes, until they turn bright green. Add more water to the pan if it is looking dry. Season the green beans with a small pinch of salt and transfer the beans to a plate. Wipe down the pan and heat the remaining olive oil over medium-high heat. Add the garlic, ginger, and scallions and cook them for 1 minute. Add the tomatoes, salt, cumin, and the red pepper flakes (if using). Cook the tomatoes for about 5 minutes, until they start to break down. Add the noodles, cooked green beans, and soy sauce to the pan. Toss everything together so that the noodles are covered in the soy sauce and tomato mixture. Cook the noodles for a few minutes until they are heated through. Taste and season the noodles with more salt or soy sauce, if necessary. Transfer the noodles to a large bowl or plate. Garnish with sesame seeds and basil leaves, if you like. Serve the noodles with pan fried tofu, shrimp, chicken, or your favorite protein. 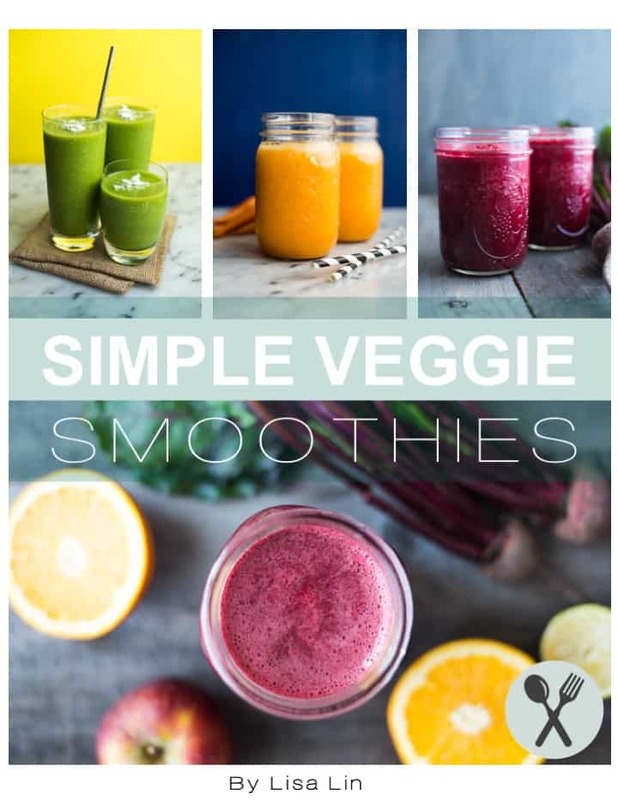 As written and suggested ingredients. I NEVER eat starchy carbs like chow mein noodles or any other noodles except zucchini or carrots. I always cook them to maximize the nutrition in them. I also use Shirataki noodles and rice in my cooking. I don’t need the high blood sugars that result from starchy noodles.